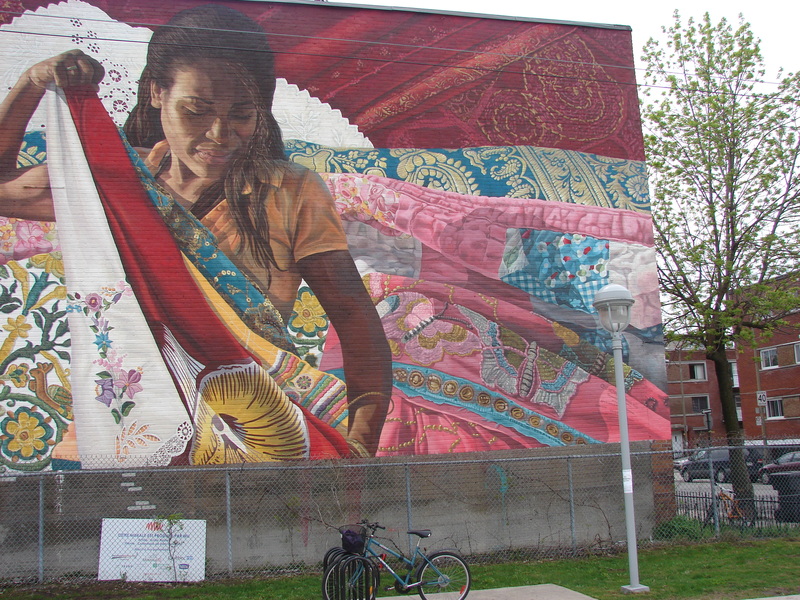 The Montreal community of Parc Extension commissioned this mural to celebrate the neighbourhood’s centennial anniversary last year. The different fabrics in the image represent the diversity of cultures that make their home in Parc Ex. 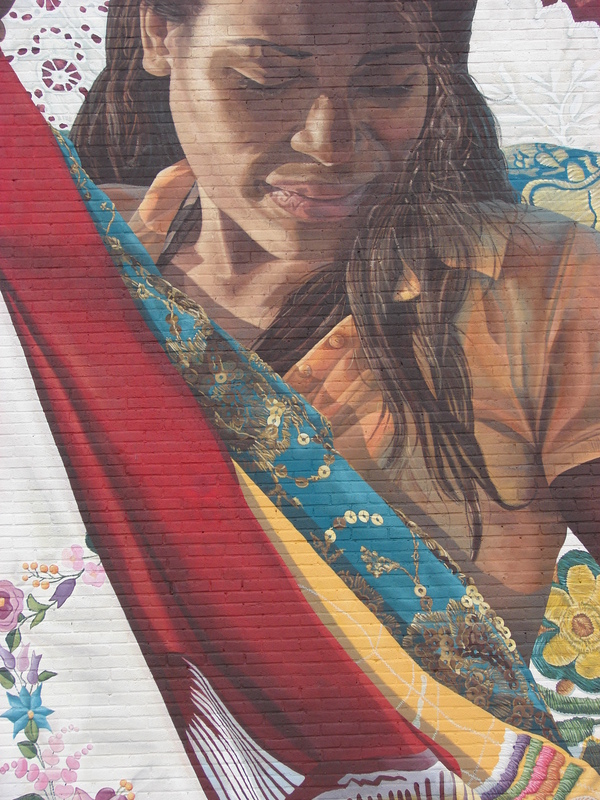 The mural is not without its detractors, but I think it is gorgeous.